Marketers and Retailers across the country will be pleased to hear that Instagram, the popular photo sharing site, can now be used to convert customer “likes” to customer purchases. Consumers may not be as happy to see what this does to the level of savings in their bank accounts. After only three years, Instagram has become a wildly popular social media platform. Its clean aesthetics and filtered image functions allow users to post their own treated photographs, and to browse brand imagery in a channel that until now has not been convertible. This is basically because Instagram does not allow brands to post single links to individual photo posts, which means the pathway to the product is interrupted. This leaves potential customers who like a product one of two options. They can try to search and find it on the company’s website, or try to expand to a wider direct search for the item, which will often lead them away from the retailer where they initially saw the product. But the introduction of new software called Like2Buy, by a company called Curalate, will save retailers time and offer unheard of return on investment for brands that use Instagram. Like to Buy has been billed as the missing link between traffic and revenue. It allows retailers to mount a single link on the top of their Instagram page which will allow the user to see an easy-to-follow list of links to all the products they’ve liked. In this sense, it also works as a curation tool, meaning users can have a wish list they can use to make direct purchases. It’s one of those ideas this writer wishes she’d thought of, and Curalate will no doubt make a fortune leasing or selling it to retailers. 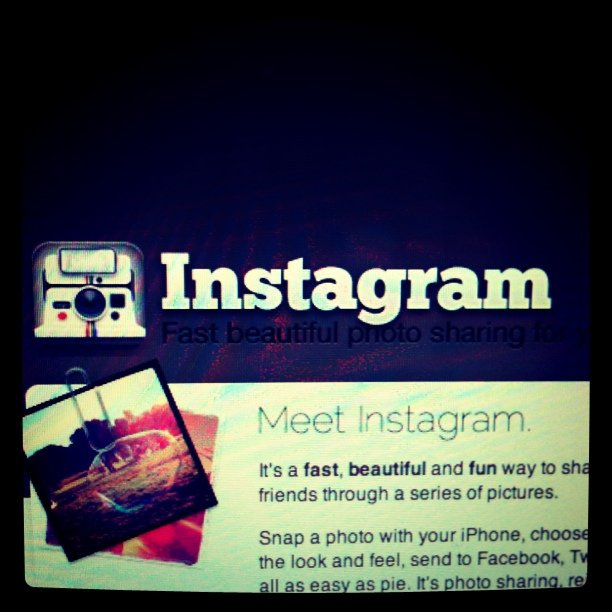 The question is, will this new commercial side of Instagram decrease its popularity? Is the reason that consumers interact with brands so much on Instagram because they weren’t getting the hard sell? And could this turn innocent digital window shopping into a potentially pressured retail environment?